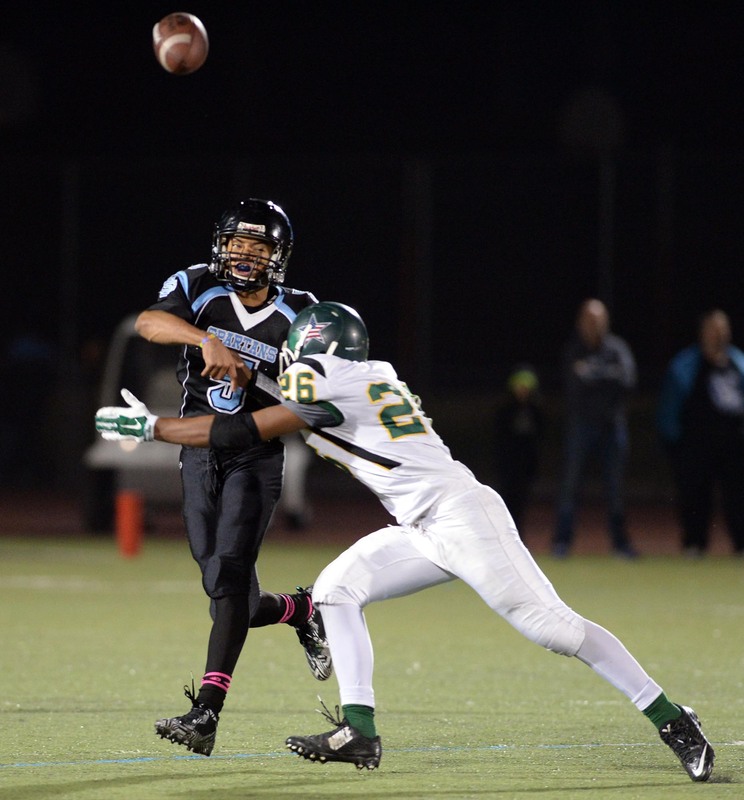 San Gorgonio Spartans quarterback Nate Meadors received a scholarship offer from the UCLA Bruins football program Nov. 16. It is his 10th offer during the 2014 football season. The offer from the Bruins was not just any offer to Meadors. Until today, UCLA had been one of two programs that Meadors had a strong interest in, along with Stanford University, despite not having an offer from either program. Stanford appears off the radar for Meadors at this point in the recruiting process, but the offer from UCLA has really heated things up within the PAC-12 conference. The Bruins join Cal, Washington, Arizona State and Washington State as teams within the conference that have made an offer to Meadors. He is being recruited as an athlete by most schools that hope he could fill the void of several different positions depending on a team’s needs. The offer from the Bruins comes just one day after he took his first official recruiting visit to Boise State University in Idaho. He returned to San Bernardino tonight from the visit and it was in the airport that he received the offer from UCLA. Meadors will rejoin the Spartans as they prepare throughout the upcoming week for a second round playoff game against Riverside Poly on Friday. This entry was posted in football, High School football, Nate Meadors, San Gorgonio High School, UCLA and tagged Boise State, Cal, CIF Playoffs, Nate Meadors, San Gorgonio, UCLA by James H. Williams. Bookmark the permalink.